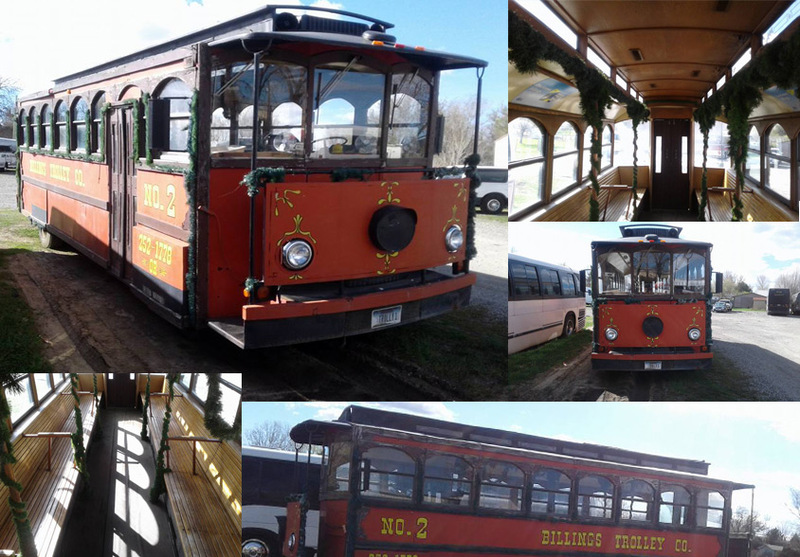 Enjoy Holiday tours in our Vintage trolley. Billings’ enjoys popular Trolley Tours between Thanksgiving and New Years with our “Billings Christmas Light Tours” along residential and downtown displays. The trolley and driver can be rented for any occasion. 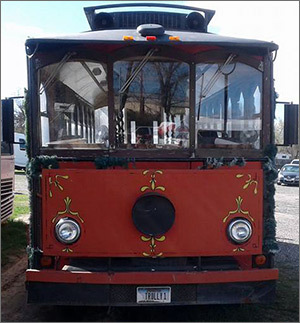 You’ll enjoy a ride around Billings or a historic tour in our Vintage Trolley. Our Vintage Billings Trolley riders enjoy a lighthearted, informative tour of Billings landmark destinations and a fun group transportation method. For more than two decades, the Billings Trolley has been the gold standard for getting around the city and experiencing Billings history. Other trolley uses include weddings, concerts, birthdays, bachelorette parties, wedding and a wide variety of other celebrations.